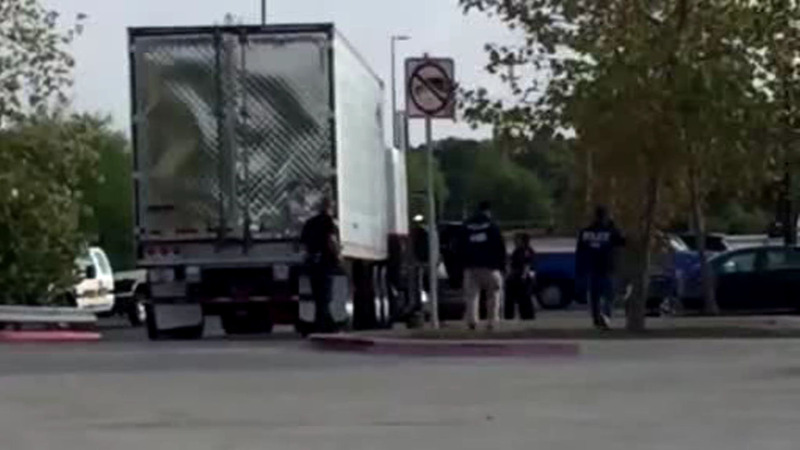 HOUSTON, Texas -- Federal authorities have detained some survivors of a deadly human smuggling operation in the same facility as the driver of the truck in which they were smuggled, concerning advocates who are worried that they could be further traumatized. A few of them have even briefly shared a holding cell with James Matthew Bradley Jr., who faces a human smuggling charge that carries the possibility of the death penalty, according to Michael McCrum, an attorney appointed to represent the passengers. Ten people died after being taken from the Texas border to San Antonio in a sweltering tractor-trailer. According to a federal complaint, Bradley denied knowing that the trailer he was driving was packed with people who had crossed into the United States illegally. Amy Fischer, policy director for the Refugee and Immigrant Center for Education and Legal Services, or RAICES, said Wednesday that she was concerned about the impact of survivors remaining in detention and especially seeing Bradley inside. "They are being held on equal footing as the person who is charged with putting them into the truck," she said. "We have a lot of concerns as to how they're being treated, and the impact that this treatment will have on them as they try and recover from this horrific experience." Investigators have said they consider Bradley to be one part of an organization that funded and planned the movement of dozens of people into the U.S., and that others could also face criminal charges. Some of the passengers could become key witnesses at future trials. Authorities have designated 18 of the 39 people known to have been inside the trailer as material witnesses and are keeping them in detention to guarantee their testimony. The U.S. Attorney's Office in San Antonio and the U.S. Marshals Service have refused to say where the witnesses or Bradley are being held. But at least some of the 18 are being held at the Central Texas Detention Facility, a privately-run immigration lockup in San Antonio, according to McCrum and Fischer. The Bexar County Sheriff's Office said last week that Bradley is at the same facility. RAICES is representing six of the survivors so far in potential immigration court proceedings. Fischer said that so far, authorities have not tried to begin deporting any of the survivors, but they also haven't said whether the survivors will be allowed to remain in the U.S. with visas for victims of trafficking or crime. Many of the people designated as witnesses will testify in depositions Aug. 23-25. Seven people remained hospitalized Wednesday, according to U.S. Attorney's spokesman Daryl Fields. Three passengers who were juveniles have been released into separate custody. One person who left a San Antonio-area hospital before authorities arrived was arrested Friday in Louisiana and will be transferred to Texas soon, he said.